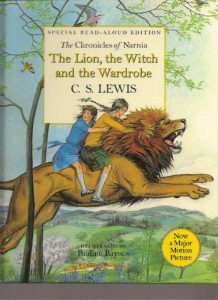 I gave a series of seven talks at Oklahoma City’s Full Circle Bookstore on the subject of the artistry and meaning of C. S. Lewis’ Chronicles of Narnia. Recordings are available as an ‘extra’ to anyone signing up for my Wizard Reading Formula course online (about which, ‘stay tuned’). To the delight of my inner Gilderoy last night, I found a review of the first class that was written by a student taking a public speaking course at a local college. If C. S. Lewis or talks by the Hogwarts Professor in person are of any interest to you, that evaluation of my class content and delivery are after the jump. Feel free to let me know what you think of this student’s judgment and of the content he describes! 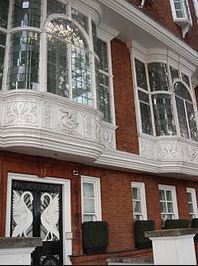 –(B) Jung, Burckhardt, or McLean? Even the relatively casual reader of Robert Galbraith’s fourth Cormoran Strike mystery, Lethal White, is struck by the imagery of the swans in this novel. The story begins — its first words — at the Cunliffe wedding reception with a photographer trying to get a picture of the newlyweds that includes two swans in the pond behind them. 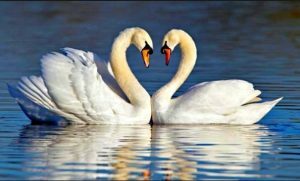 The swans stubbornly refuse to come together, but, as soon as Robin rises to separate herself from Matt (with the intention of looking for Cormoran), they swim side by side. The clueless father of the groom observes, “You’d think the buggers were doing it on purpose” (p 3). 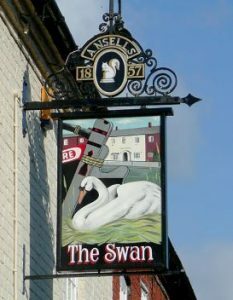 While the predominant symbolism of the story is white horses, which occur so frequently that Strike remarks on it and Billy Knight laughs about it (pp 394, 496), white swans occur often enough, not only as the story’s framing brackets but in references to individual birds on signs (see Robin’s noting and overlooking the Swan pub sign on pp 56 and 166), that we are obliged to consider their meaning beyond markers of Leda mythology in which the books are set. Swans, as you might expect in a Rowling novel, have an alchemical meaning as well, one that we will explore after the jump. 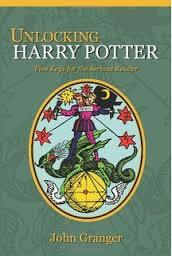 I was invited out of the blue last week, as something of an afterthought it seems, by the editor of a book soon to be published on the subject of the literary alchemy in Harry Potter to make a contribution of some kind. It turns out the well-meaning editor had not read anything I’d written on the subject other than the chapters in Unlocking Harry Potter, written and published before Deathly Hallows was in hand. This struck me as bizarre, frankly. 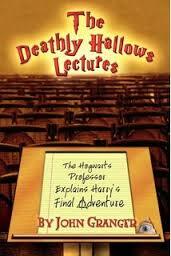 I’ve written several books with chapters on literary alchemy since 2007, most notably Deathly Hallows Lectures, How Harry Cast His Spell, Harry Potter’s Bookshelf, and Spotlight: The Artistry and Meaning of Stephenie Meyer’s Twilight Saga (don’t sniff at that last, please, especially if you’re serious about hermetic writing in popular culture). 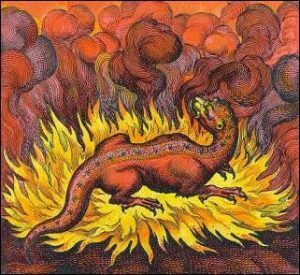 Not to mention all I have written here on the subject in addition to the important alchemical Guest Posts we’ve published. This seemingly inexplicable ignorance on the part of a very smart person reminded me that I had been advised two years ago to create what are known as ‘Pillar Posts’ for the sidebar of HogwartsProfessor. The purpose of these posts on a weblog is to create easy access in one spot to the material on a specific topic of special interest that is otherwise just spread throughout the archives of a long-lived site in no particular order. If I am obliged to note, Gilderoy mask in place, that the editor of the upcoming book on alchemy and the Hogwarts Saga is at fault in not doing such work herself, I must take some part of the blame because I have too long neglected the duties of HogwartsProfessor weblog archivist. I hope eventually to write a proper ‘Pillar Post’ for literary alchemy or at least an annotated version of the sorted link list that follows. I will try in the coming weeks, though, to put together similar Round-Ups for Ring Composition, Cormoran Strike, the Fantastic Beasts screenplays, Hunger Games, and other books we have discussed here at some length. Please let me know if there is a subject for which you would appreciate a one-click access to a cataloge of HogwartsProfessor posts made about it through the years and I will do my best to oblige you.